Recently I announced a new collaboration with Porter Escapes, to showcase some of the wonderful beer cities that you can visit through their network of destinations. My first trip was to one of the finest beer cities and overall great places to visit in North America: Chicago. 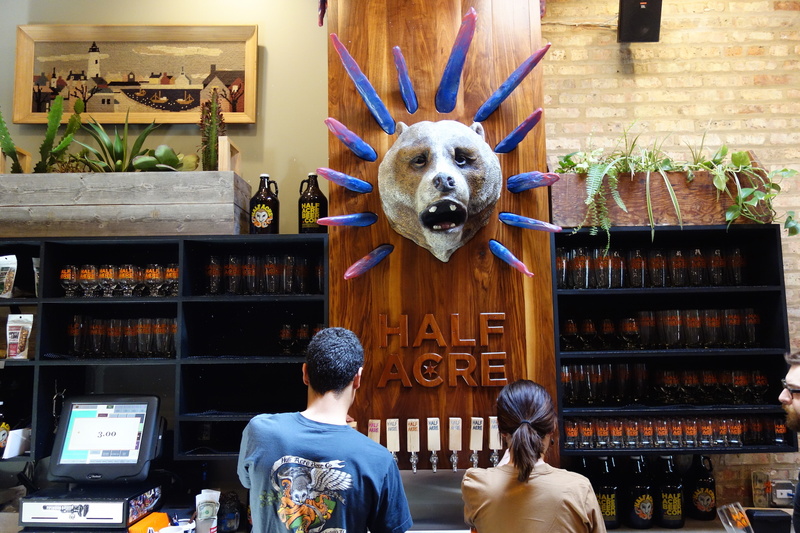 In this feature article I’ll recap the visit and highlight some of Chicago’s top destinations so you can also have a “beer escape” to this marvellous city. Porter Escapes offers convenient packages which include a bundle of flight and hotel, so of course my first step was getting to Chicago. Flying on a sunny Friday afternoon, the short flight to Chicago landed at Midway Airport, in the south side of the city. 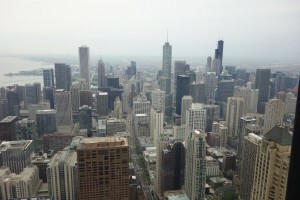 Chicago is one of the most convenient cities in North America to arrive by plane, as Midway is connected to Chicago’s transit system, the CTA. Hopping on the “L” at Midway on the Orange Line gets you downtown in about 30 minutes. With Porter’s incredible location in Toronto, the entire trip from downtown to downtown is remarkably swift and convenient. PRO CHICAGO TIP: The Chicago transit system uses re-loadable “Ventra” cards which you tap to use upon entry. The cards hold their value over time, so when you leave Chicago, hold onto your Ventra card and reload it before you go again. This way you can avoid the lineups of visitors figuring things out at the Midway station. 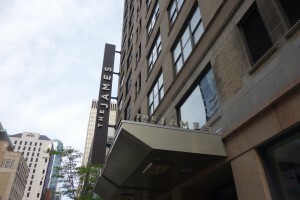 Heading downtown, I checked into my hotel, The James, located on E. Ontario St. in the River North area. The James is right in the heart of the action, close to many great places downtown, and easy to access different CTA lines to get out to Chicago’s interesting neighbourhoods. It’s a stylish boutique hotel which made for a convenient and comfortable home base for the weekend. Opting to explore downtown later, I took the CTA Blue Line at Clark/Lake up to the fun neighbourhood of Wicker Park. Exiting at the Damen stop places you at the epicentre of one of Chicago’s most bustling nightlife areas. Something that’s unique about this particular area is the intersection of three major streets – North, Damen and Milwaukee – creating a mega-intersection of sorts. It can be a bit daunting to navigate but it’s worth exploring, as there is great beer to be found in virtually every direction. The first stop was Xoco Wicker Park, part of the family of restaurants from world-famous chef Rick Bayless. Xoco Wicker Park is the second location of Xoco, the first being right next door to the beloved Frontera Grill and Topolobampo located downtown (and highly recommended). The Wicker Park location of Xoco on N. Milwaukee Ave. opened in August 2014 and has a bit more elbow room but the same excellent food and drink as fans have come to expect. 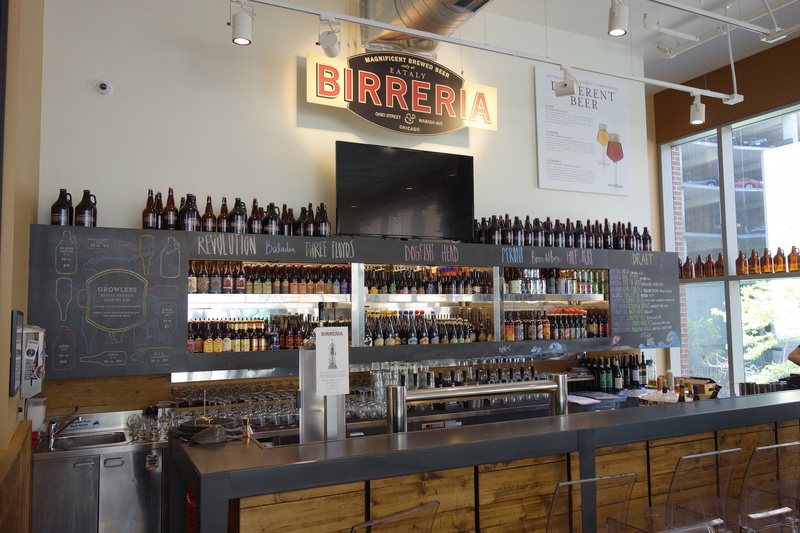 This was near the top of my list for the weekend not only for some delicious Mexican tortas, but a chance to try the just-released new beer from Rick Bayless’s forthcoming brewery La Guardia. Cruz Blanca is a spicy and sharp biere de garde brewed with hominy, epazote, lime peel and coriander in collaboration with Perennial Artisan Ales of St. Louis. It is a very promising start to what will certainly be a great new addition to the Bayless empire. 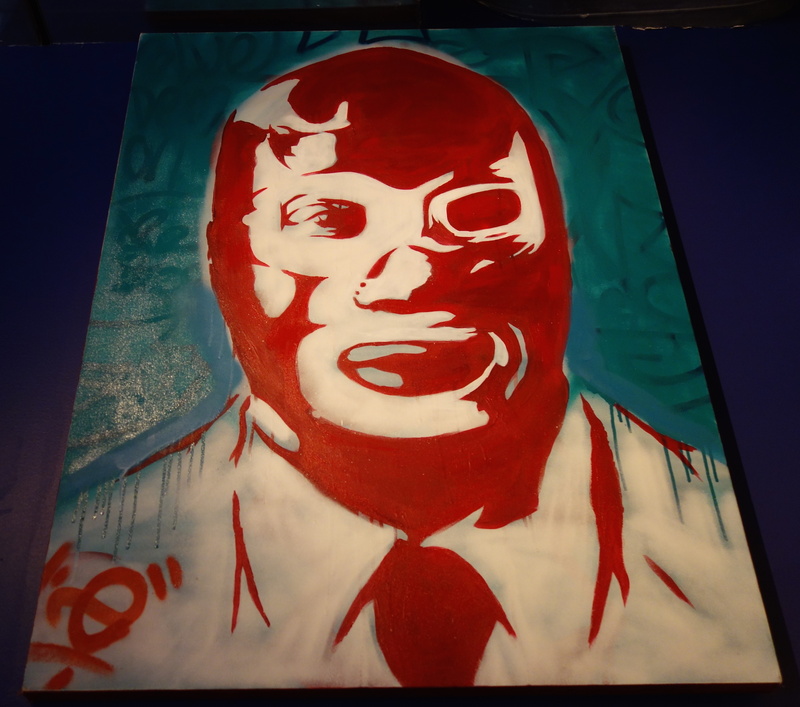 I am an unabashed fan (as are many) of the Rick Bayless family of restaurants, and the new Xoco Wicker Park is on my must-visit list in Chicago, and should be on yours too. Moving along led me up N. Milwaukee to the Links Taproom, a lively bar with 35+ beers on draught and cask. Using technology to their advantage, the beer menus are all on large digital screens throughout the bar, listing the details of each beer available, and most importantly how much of it is left in the keg. And for those in the mood for a real beer party, Links even sells jeroboam sizes of selected beer! Crossing the intersection led me to Big Star, located just past the train tracks on N. Damen Ave. Big Star is always in party mode. It’s a raucous, expansive taqueria with a large front patio and wrap-around bar inside, with table and bar seating surrounding it. There is usually always a wait for a table on a popular night, but you can regularly get into the bar area and just squeeze in. Big Star’s speciality is tacos, and they are excellent. 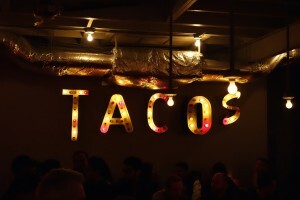 Complementing their tacos is a small but regularly rotating tap lineup, usually featuring Three Floyds, Lagunitas and Firestone Walker, and a full bar with a focus on bourbon, tequila and cocktails. If you’re in a rush there’s even a to-go taco window. 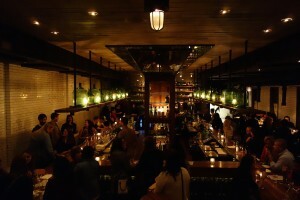 Big Star is a great visit to get a taste of Chicago’s nightlife – it’s always a rush in here. 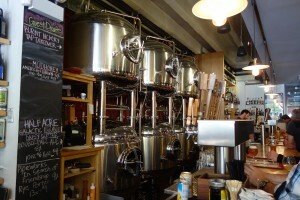 Walking around the corner to W. North Ave. took me to Piece, a large and popular pizzeria and brewery. Piece is just an all-around good place to get a beer and some delicious food. They do something that you don’t really see in Toronto outside of chain pizzerias: they make “full size” pizzas. Like, pizzas that take up the entire table. And unlike the “Chicago style” pizza that is popular in the Loop area, Piece serves “New Haven style”, which is a thinner crust with a variety of sauce and topping options. On the beer front, Piece produces a number of their own beers, usually including strong interpretations of German, American and Belgian styles. Watch for special guest pizzas from time to time (earlier this year they did a collaboration pizza with Doug Sohn of Hot Doug’s), and the always fun-to-watch live band karaoke on Saturday nights. A final stop of the evening took me across W. North to Trenchermen, a unique bar and dining room built into a former Russian bath house from the 1920s. A very unique and moody space, Trenchermen has a great beer lineup which included Surly, Three Floyds, Metropolitan, Half Acre and more. While in the neighbourhood it’s also worth a trek to Division Street, a fun area located one train stop closer to downtown, or easily walkable. Not visited on this trip but in the past I’ve quite enjoyed Bangers & Lace, focusing on interesting takes on hot dogs with beer, and Jerry’s Sandwiches, with a humongous menu of delicious sandwiches and beer. Also very much worth a visit is the legendary Map Room, located on W. Armitage Ave. One of Chicago’s oldest beer bars, the Map Room has an ever-changing beer lineup from the U.S. and abroad. 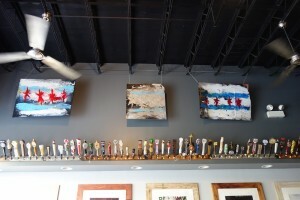 Having done the whirlwind tour of Wicker Park, the second day was dedicated to enjoying even more beer across the city. First up was right around the corner from the James: the Italian food emporium Eataly. There’s really nothing like Eataly, a hybrid market, restaurant and retail experience with dozens themed areas representing various styles of food and drink. It’s quite something to behold, and it’s definitely worth a stop while in Chicago. Getting there early before the crowds arrive is advisable. After snagging an absolutely delicious house-made sandwich, I checked out their brewery, a bright and airy space on the second floor. Named the Birreria, beers here have been created in collaboration with Dogfish Head’s Sam Calagione, with a house saison, rye IPA and Berliner weisse on offer, but also with a wide range of tap and bottles from breweries such as Baladin, Del Borgo, Dogfish Head, Half Acre and Three Floyds. 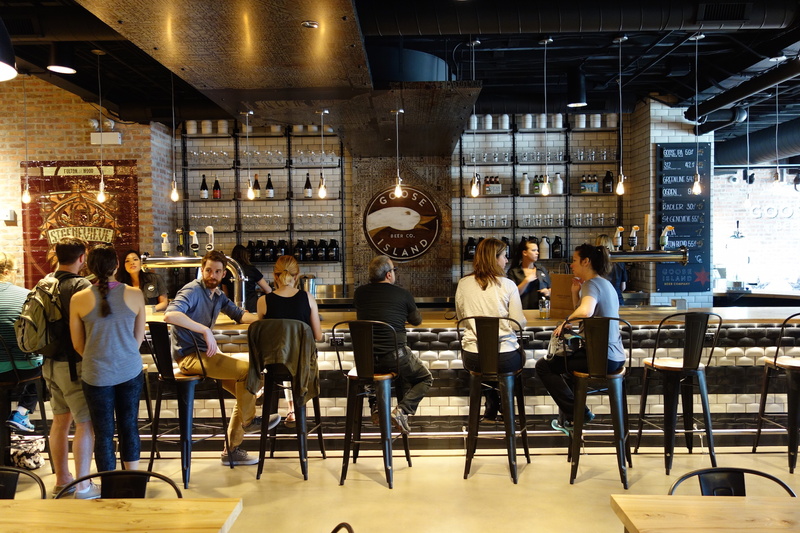 The next stop was the new taproom at Goose Island‘s production brewery, located on W. Fulton Ave. The taproom, only having opened a couple of weeks ago, is a beautiful new showcase for Goose Island. While there I was fortunate to receive an informative and fun behind-the-scenes tour of Goose by brewer Dave Tohtz. Dave took me through a quick tour of the computer-controlled brewery, which was at that moment brewing what would become Bourbon County Stout. 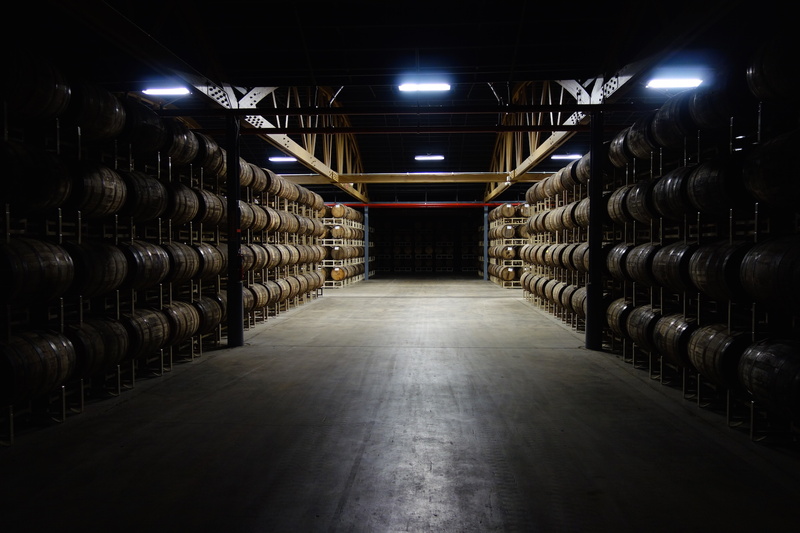 After taking a quick peek at the pilot brewing room, bottling lines, aging rooms and the most impressive keg storage room, with kegs of Bourbon County as far as the eye could see, we drove out to Goose Island’s barrel aging warehouse. I joked on Twitter that the Ark of the Covenant could be in here, as the size of the place instantly reminded me of the last scene of Raiders. The warehouse is massive, holding Goose Island’s incredible collection of barrels, numbering over 6,000. Split into two areas for Bourbon County Stout and their wine barrel fruit series, the delicious anticipation of tasting what’s in the barrels hangs heavy in the air. Just another reason to come back to hopefully get a chance to enjoy the beer in these barrels. As luck would have it the weekend I was there is was also Chicago Craft Beer Week, the week-long celebration of beer which is common across North America. The closing event was taking place while I was in town, so moving on from Goose Island took me up to the Ravenswood/North Center neighbourhood to the Welles Park Craft Beer Festival. It was a casual beerfest in the picturesque park, and a good opportunity to sample some beers from the ever-evolving local beer scene, with 70+ brewers involved. But my mission this weekend was the beer destinations of the city that you could visit too, so I moved on. Just a block away from the park on N. Lincoln Ave. is the very popular Half Acre brewery and taproom. 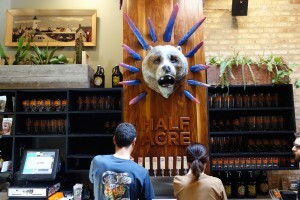 Half Acre is one of the new wave of Chicago breweries, opening up on N. Lincoln ‘way back’ in 2009. And their popularity is sky-high, as on this Saturday in the middle of the afternoon, there wasn’t a free seat to spare in the taproom. A lively space with communal tables, the taproom features a number of beers from the lineup of Half Acre’s unique range of beers, including Daisy Cutter Pale Ale, Vallejo IPA, Space IPA, Rambis Oatmeal Stout and other specialities. Right next door to the taproom is the brewery and gift shop, where beer-to-go is available for purchase. There’s even more great beer in the neighbourhood around Half Acre. If you’d like to spend some more time exploring, the broad area also has such worthwhile spots as the well-known Belgian-inspired HopLeaf, The Long Room, Fountainhead, The Bad Apple and Resi’s Bierstube. PRO CHICAGO TIP: Chicago’s transit network is one of the most comprehensive in North America, and makes for a great and affordable way to explore the different areas of the city. The Blue and Red lines, which connect many of the bars in this article, run 24 hours a day. I headed south to the Lake View neighbourhood, with a stop at DryHop Brewers on N. Broadway St. DryHop is one of the newer additions to the Chicago beer scene, just approaching its two-year anniversary. They’ve got a bright, open space, with tables fronting the lively Broadway St. and a long bar inside, with beer tanks lining the back of the bar. One of the more unique offerings I noticed at DryHop was a “can on demand” contraption, where staff would fill cans from the tap and would be sealed on the spot for takeaway. A very promising spot with beers that included numerous collaborations with other local brewers, such as a Kiwi/Lemon Balm Berliner Weisse with Pipeworks and an Elderflower and Grape Must Saison with Illuminated Brew Works, and more. Walking along W. Belmont Ave. (with a quick stop at Osmium for a local Dark Matter coffee and a Chicago-style dog at Murphy’s Red Hots) led me to the Northdown Cafe and Taproom on N. Lincoln Ave. The Northdown is a wonderful spot, with great beer, unique art ordaining the walls, retro movies playing above the bar and even some pinball to boot. Home of the Chicago chapter of the Mikkeller Running Club, they have a small but well-curated tap list which included Maine Beer Co., Perennial, Lost Abbey, Three Floyds, Off Color and more, plus a vast lineup of bottles. There’s a great neighbourhood feel here and an easy place to spend many hours sampling some delicious beer. Other spots worth checking out in the area include the Green Lady, Sheffield’s, Delilah’s, Atlas Brewing, Beermiscuous and Kuma’s Too. On the way back towards downtown is the famed Local Option, a bar that just about everyone into beer already knows about. Located on W. Webster Ave. near DePaul University, Local Option is a metal-themed bar with a massive lineup of draught and bottles, including a number of their own house brews. They frequently host special events and tappings, so be sure to check them out when planning a Chicago Beer Escape. The beer neighbourhood exploration continued, moving along to the lively nightlife area Logan Square. First up was the booming Revolution Brewing Brewpub on N. Milwaukee Ave. Revolution has been a tremendous success since their inception, having expanded from their original brewpub location to also include a full production brewery and taproom on Kedzie Ave. 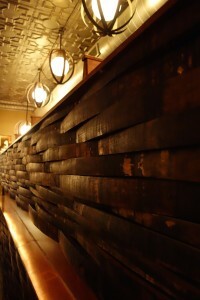 The original brewpub is a great space, with many clever design details such as barrel stave walls and Revolution’s iconic fists built into the construction of the bar. Over 15 of their house beers are available, ranging in styles from IPA, Porter, Wit, Pilsner and other unique concoctions. Walking up Milwaukee led me past numerous hotspots, including the vast Emporium, Chicago’s contribution to the vintage arcade bar phenomenon. There’s video games, pinball, pool tables, air hockey, craft beer and food trucks in here, truly a great spot to have some fun while enjoying a tasty beverage. There’s also a second location of Emporium down in Wicker Park. Continuing along Milwaukee and through Logan Square itself led to Longman & Eagle on Kedzie. This renowned restaurant and bar is candlelight dark on a Saturday night, but still bustling with patrons both at the bar and the dining room. Featuring a huge spirits lineup with a particular focus on whiskey, they have a strong draught lineup which included Founders, Pipeworks, Off Color, Solemn Oath and more. The night finished with one last stop, and one of the most unique places on the trip so far. 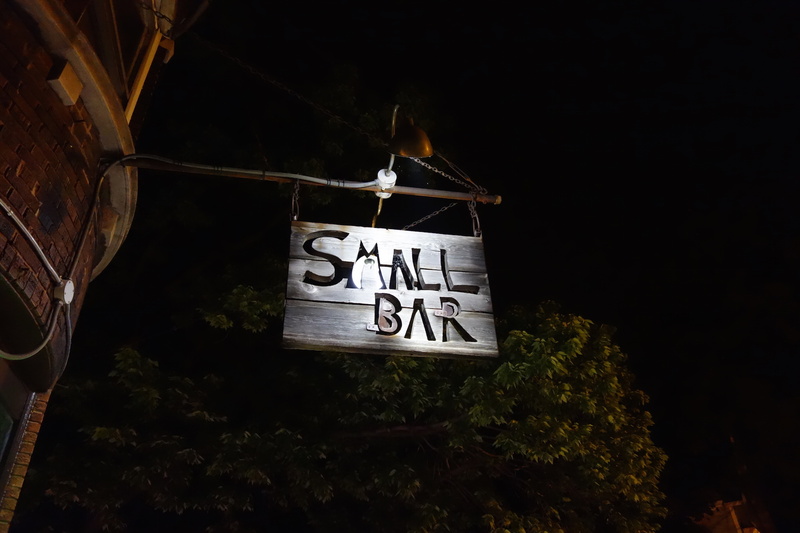 Wandering right into the residential neighbourhood of Logan Square on Albany Ave. led me to SmallBar. This place is tucked into the neighbourhood itself, surrounded by residential buildings on all sides. But inside is anything but sleepy late at night, with a friendly crowd and great beer lineup, including offerings from Prairie, Revolution, Pig Minds, IBW, Metropolitan and more. It was a fitting stop for one last pint to reflect on a fantastic day of beer exploring. The final day of the Chicago Beer Escape began with a short break from beer for a little sightseeing. 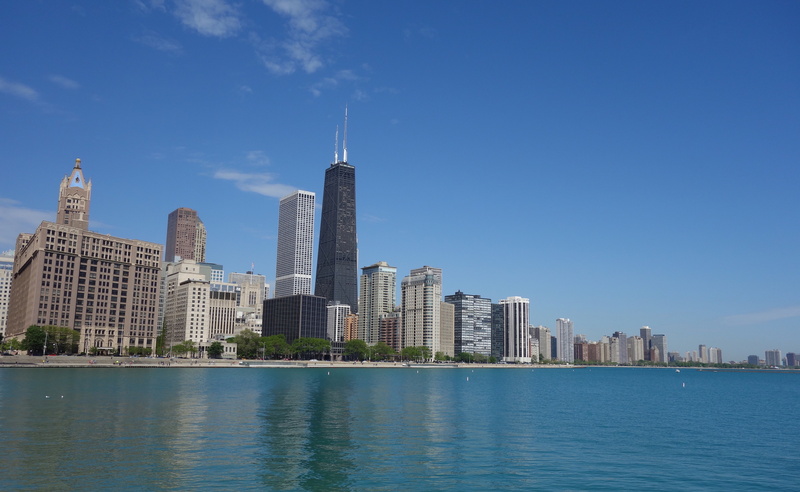 Chicago has some amazing attractions and one of the best ways to see many of them is using a Go Card Chicago. I’m not one to dwell at museums or other sights – I like to go in, check things out and move on. Ferris Bueller’s Day Off style. And this card is perfect for that, as dozens of attractions in Chicago are included, many allowing you to bypass the regular ticket lineups so you can get in very quickly. PRO CHICAGO TIP: Chicago has a vast urban bike-sharing network, Divvy. Day passes are available for $7, and is a great way to get around downtown (and beyond) for sightseeing. It’s often a much faster way to zip around town than on foot or via the CTA to hit up numerous sights rapidly. Being on a countdown clock to returning home, I jetted over to the Magnificent Mile (N. Michigan Ave.) being only a few blocks from the James and up to the top of 360 Chicago, commonly known as the observatory at the John Hancock Tower. Located 94 stories up, it makes for a great view of the city and lakefront. 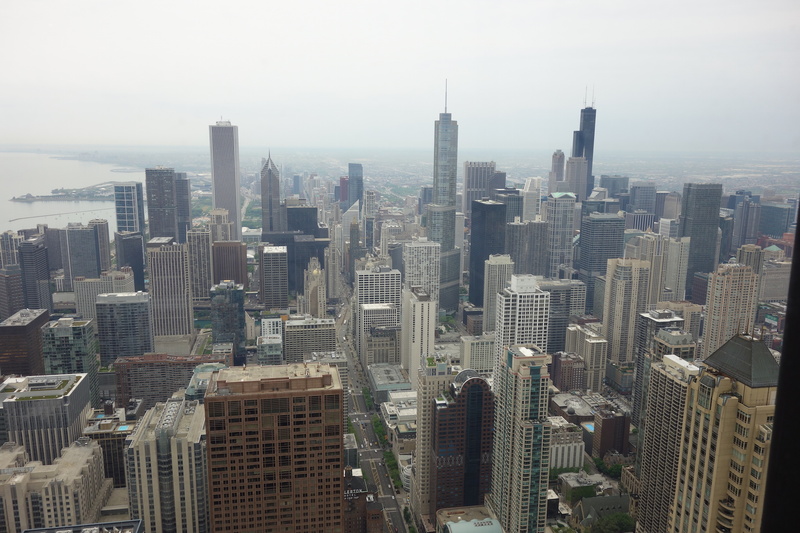 Also worth it (and also part of the Go Card Chicago) is the complementary views from the top of the Willis Tower (formerly known as the Sears Tower). Just around the corner was a quick stop at the Museum of Contemporary Art, and then down into the Loop to the vast, world-class Art Institute of Chicago, one of the best museums you’ll find anywhere. It feels like at every turn while exploring the Art Institute leads to an iconic piece. Some personal favourites of mine include the huge Impressionist and American art galleries, the architecture collection, plus Chagall’s America Windows and the Chicago Stock Exchange Trading Room (always a good spot to escape the crowds too). You truly cannot go wrong at the Art Institute. PRO CHICAGO TIP: When sightseeing in Chicago, you’ll regularly cross the many bridges of the city providing some awesome views. Be sure to check out the Kinzie Street bridge, one of my personal favourite bridge views and immortalized in film in the “Top 5 things I miss about Laura” scene from High Fidelity. Now this is a Beer Escape after all, so after some great sightseeing it was time to wrap up the trip with one of Chicago’s most dynamic food and drink areas: the Fulton Market. This longtime meatpacking district has in recent years been transformed with some of the most acclaimed bars and restaurants in the city, and the density of spots made it for a great place to finish the trip. First up in the Fulton Market area was the Little Goat Diner on W. Randolph St. This is the sister location to famed chef Stephanie Izard’s Girl and the Goat, located just across the street. The Little Goat is a multi-faceted destination, with a sit-down diner, a bar, coffee shop and to-go bakery counter. It’s truly a fabulous spot that can accommodate thirst and hunger at any time of day. On this particular Sunday they were hosting a rooftop patio party featuring Revolution Brewing, but at all other times the Little Goat has a well-thought through draught selection including the likes of Off Color, Begyle, 21st Amendment, Ballast Point and Half Acre. You just can’t go wrong here. 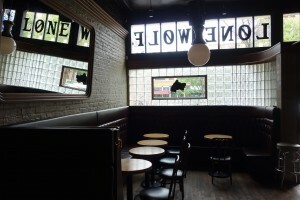 A couple of doors down is the blink-and-you’ll-miss-it Lone Wolf Tavern. A hotspot by night, the bar is quiet and relaxed on a Sunday afternoon, but with no shortage of great beer. They are incredibly fortunate to have four permanent Three Floyds taps, making the Lone Wolf one of the top destinations to find the sought-after beers from the famed Munster, Indiana brewery. On this afternoon they had Alpha King, Rabbid Rabbit, Black Heart, Lord Rear Admiral from Three Floyds plus other taps from Solemn Oath, Dark Horse and more. Around the corner is Green Street Smoked Meats, a warm and rustic down-an-alley bar and counter with beer, cocktails and meats, reminiscent of Fette Sau in Brooklyn. There’s a real warehouse feel here with a raw, rough brick interior and a classic rock soundtrack playing. Brisket, pork, chicken and more are the specialties here, and are a tasty complement to a solid beer lineup of 16 taps including six from Local Option. Just a block away on Halstead St. is a brand-new location of Whole Foods Market, always a great go-to destination for beer shopping to take home. On this particular trip I was able to find some Three Floyds here, which I easily packed into my bag for a beery souvenir of Chicago. And if you can’t decide what to buy, you can sip on site at the Red Star Bar, the Whole Foods in-grocery bar with 24 beers on tap. Remarkable. 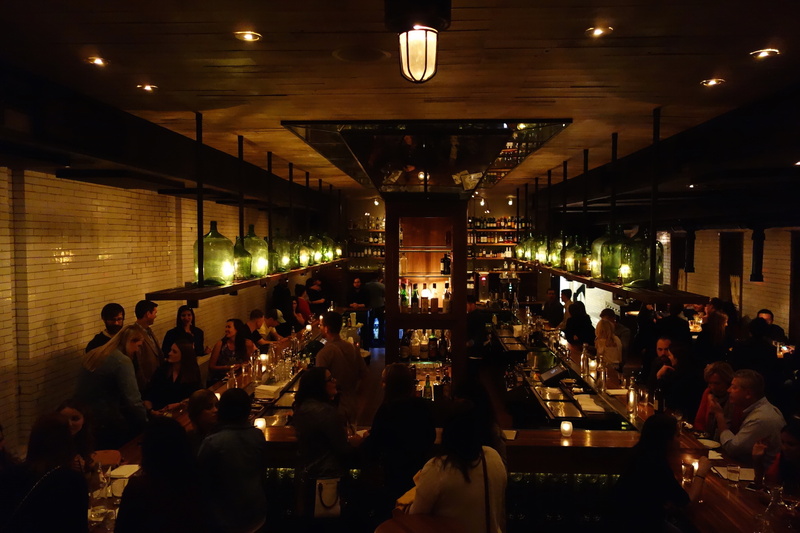 There’s much more to explore in the Fulton Market area – also worth checking out is the fine dining and beer restaurant Publican, its casual sister location Publican Quality Meats, along with brewpub Haymarket. 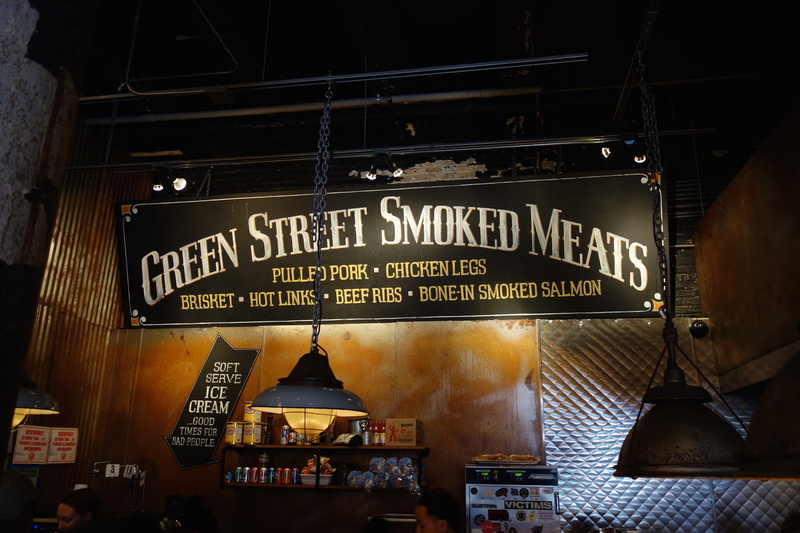 This is just another of many areas in Chicago that will keep you well fed and satiated. And with that, the Chicago Beer Escape came to an end, with a quick ride back to Midway and swift flight back to Toronto. 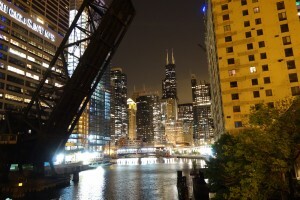 Chicago is a wonderful city to explore, drink, eat, and make new friends. It’s a city that likes to enjoy life, and you can tell with the bars and restaurants. They are almost always perpetually busy, yet one is always made to feel welcome and encouraged to join in on the fun. My collaboration with Porter Escapes allowed me to fly, stay and do Chicago easily on a weekend, and you should consider taking your own Beer Escape there if you haven’t, or haven’t recently. It’s simply delicious. Please see refer to the map below as all the locations mentioned in this article are pinned. And there’s always more popping up in Chicago, so be sure to follow the ongoing thread in our discussion forum to learn about the latest Beer Escapes to this fine city from our active craft beer community.